Heavens to Mergatroyd: Did Brigitte Macron and her first husband appear in an episode of "French in Action" - mystere et boule de gomme! Did Brigitte Macron and her first husband appear in an episode of "French in Action" - mystere et boule de gomme! 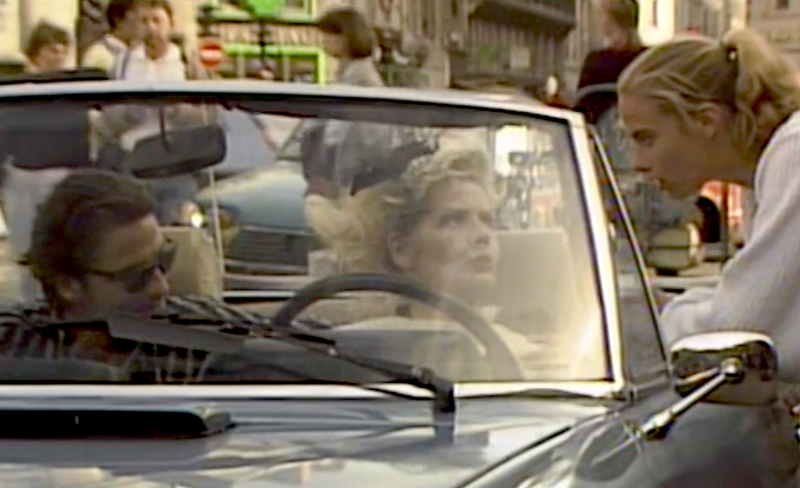 I am 99% sure that this brief clip from the 1980s educational TV series "French in Action" shows Brigitte Macron, current first lady of France. The clip is part of a 20-second segment, originally, I think, an advertisement for a French bank called Caisse d'Epargne ("savings bank"). Here is the episode of French in Action in which the segment appears, beginning at 11:53. The segment features a variety of French people being asked what they would do if they suddenly had a lot of money - they all say "put it in the bank" as far as I can tell. My French comprehension is still only about 70%. The woman in the clip not only looks a lot like Brigitte Macron, she's about the right age (late 20s/early 30s) and there are photos of her from her younger days where she wears the same exact hair style, and she has some orthodontic issues, fixed since then, which can be seen in photos from her teacher days. The key to the mystery is the guy in the video next to her. It is impossible to find a photo of Brigitte's first husband, André-Louis Auzière online - and not even all the French language media has apparently been able to find one since even in articles about Auzière, they never run a photo. If it turns out he looks like the guy in this video clip then the mystery will be solved. 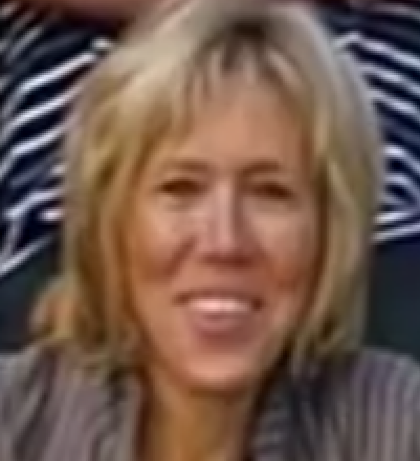 If nobody else has noticed this apparition of Brigitte Macron in French in Action except me it's probably because a. she wasn't famous until a couple of years ago and b. I have watched the entire French in Action series all the way through about ten times in the past year and even I didn't notice this until today. Oddly, I had wondered if Emmanuel Macron would ever show up in the series - he would have been around ten years old - like in the background for one of the puppet shows they keep showing in the series. I hadn't considered Brigitte might show up. French in Action - oh lah lah! Also oddly, this clip is from a commercial for a bank and André-Louis Auzière had a career as a banker. Maybe that's how they ended up in this video. Also oddly, in this same episode of French in Action there is a scene of "Aunt Georgette" reminiscing about "the one that got away" - a guy named George who - spoiler alert! - she reunites with by the end of the French in Action series. And he is much younger than her. VIVE LA REPUBLIC! VIVE LA FRANCE! Here is the clip of "Brigitte" from the French in Action episode.